“The tiger kinda’ helped” in scaring off the enemy in March 1966, Special Forces legend and retired Command Sgt. Maj. Bennie Adkins said of the last hours of a four-day battle in Vietnam in which he earned the Medal of Honor. Adkins sat down with Military.com on Wednesday to talk about his new book, “A Tiger Among Us: A Story of Valor in Vietnam’s A Shau Valley,” and his work with the Bennie G. Adkins Foundation a day after he and 28 other recipients of the nation’s highest award for valor were honored at baseball’s All-Star Game at Nationals Park in Washington, D.C. He rigged the shotgun as a makeshift antenna and managed to get a location to the rescue helicopters. “The next day, the weather broke enough so they could come get us,” he said. Fox broadcaster Joe Buck asked the sellout crowd to remain silent as each MoH recipient was introduced on the field by name and rank. Adkins, leaning on his walker, was the first to be introduced. He gave the crowd a salute. The crowd then erupted in a long-standing ovation as both the National and American League teams swarmed around the recipients to take selfies and exchange autographs. Adkins was in town to promote his book, co-written with Katie Lamar Jackson and including a foreword by former Defense Secretary Chuck Hagel. He was speaking that night at the International Spy Museum and had also made a presentation at the National Archives. 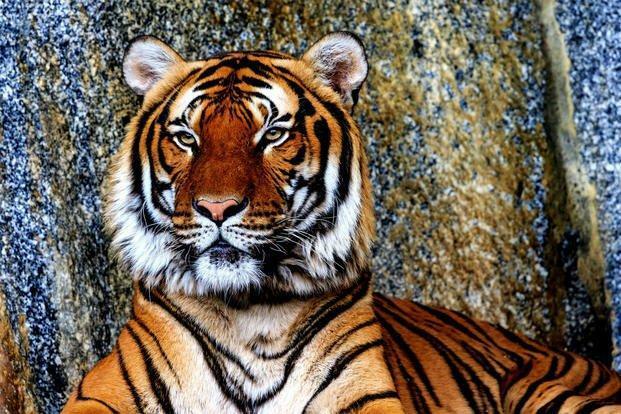 The Indochinese, or Indonesian, tiger is an endangered species. Only about 20 are believed to remain in Vietnam, but just about everybody who served in the Army and the Marines in South Vietnam’s northern I Corps in the 1960s had a tiger tale to tell. Everybody seemed to know a guy who knew a guy who knew a guy who had come in contact with them, but few had ever seen one. Everybody also knew about the A Shau. It was Vietnam’s heart of darkness in the telling, running west from Hue to link up with the Ho Chi Minh trail. It was the place where whole units could disappear. Lots of tigers in the A Shau, guys would say, but you really didn’t want to go there to find out. He came to the A Shau by way of Waurika, Oklahoma. He was drafted into the Army in 1956, and saw it as a way out. There wasn’t much work back in Waurika, Adkins said. “Maybe day work on the farm or fry cooking or something like that is what it amounted to,” he added. The Army “made a clerk typist out me” and sent him to Germany. In 20 months, he was a sergeant, but he was bored. He asked for the infantry, was sent to Fort Benning, Georgia, for training and later was accepted into the Special Forces. His first tour in Vietnam was in 1963. “We left the country in uniform,” he said. On his second tour, which began in 1965, he said the sergeant major made Adkins his intelligence sergeant. But he had been in Danang only a short time when the sergeant major came to him again. “We just had a man in the A Shau hit, and we have to send you out there,” the sergeant major said. “So I didn’t get to do any of that rear echelon stuff,” Adkins said. 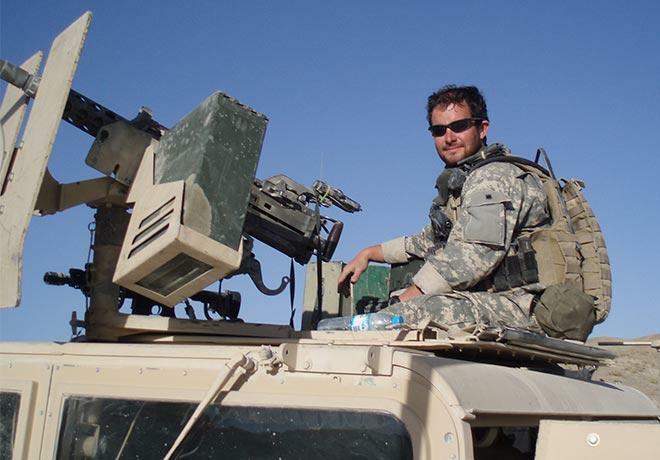 He was with two officers and 10 enlisted troops from the Fifth Special Forces Group. In addition, “they had the worst of the Vietnamese Special Forces in there and the CIDG” — the Civilian Irregular Defense Group of paramilitaries, Adkins said. The Americans at Camp A Shau knew an attack was coming. Adkins fought back from his own 81mm mortar position, and “then it got down to individual weapons and hand grenade fighting,” he said. After 38 hours, the order to evacuate was given. Several Marine helicopters were shot down in the rescue attempt, he said. “This was the night the North Vietnamese had us surrounded. We were in triple canopy,” he said. “We started hearing a noise and then we could see the eyes — about a 400-pound Indonesian tiger was stalking us that night,” but the enemy was more concerned than they were. “The North Vietnamese soldiers — they backed away from us and gave us room and we were able to get away,” he said. Adkins’ medal citation states: “During the thirty-eight-hour battle and forty-eight hours of escape and evasion, fighting with mortars, machine guns, recoilless rifles, small arms, and hand grenades, it was estimated that Sergeant First Class Adkins killed between 135 and 175 of the enemy while sustaining eighteen different wounds to his body. “Sergeant First Class Adkins’ extraordinary heroism and selflessness above and beyond the call of duty are in keeping with the highest traditions of the military service and reflect great credit upon himself, Detachment A-102, 5th Special Forces Group, 1st Special Forces and the United States Army,” the citation concludes. Adkins was awarded the Distinguished Service Cross for his actions in the A Shau. During his three tours in Vietnam, he also earned two Bronze Stars with Combat “V” device and three Purple Hearts. Forty-eight years later, President Barack Obama approved the upgrade of Adkins’ DSC to the Medal of Honor. Adkins retired from the military in 1978. He earned a college degree and two masters degrees from Troy State University and ran his own accounting firm. Now he heads the Bennie G. Adkins Foundation, which raises funds for scholarships for enlisted Special Forces troops transitioning to civilian life. Adkins doesn’t talk much about his third and last tour in Vietnam in 1971, which was with the clandestine “Studies and Observation Group (SOG),” a mix of Special Forces, SEALs, other commando units and CIA operatives that ran missions behind enemy lines and in Laos and Cambodia. When asked if he had ever returned to Vietnam, Adkins laughed and said he hadn’t.